This sauce is considered the emperor of all sauces in Hong Kong. Many chefs create their own version and keep the recipe with absolute secrecy. Here is my homemade version that will set your tastebuds on fire. This sauce is nothing like the gooey sauces that you find in the supermarket aisle. It is full of flavour and fire. With just a couple of tablespoons it can transform your stir-fry vegetables from bland to WHAM! 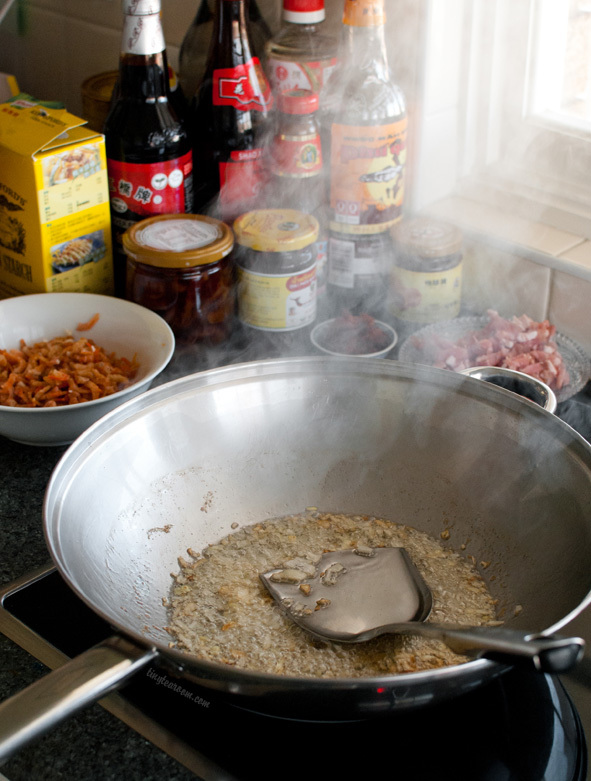 You can add some to your fried rice for something different or dip your dumplings into it for a special kick. You can even dollop a bit onto some fried eggs. It is also a fraction of the cost of the store bought variety that can vary in quality.